Man alive, it is dry here in southern Arizona. My poor little guys suffer from dry patches on their skin and this is the go to lotion of choice. I’ve been making this for a while. 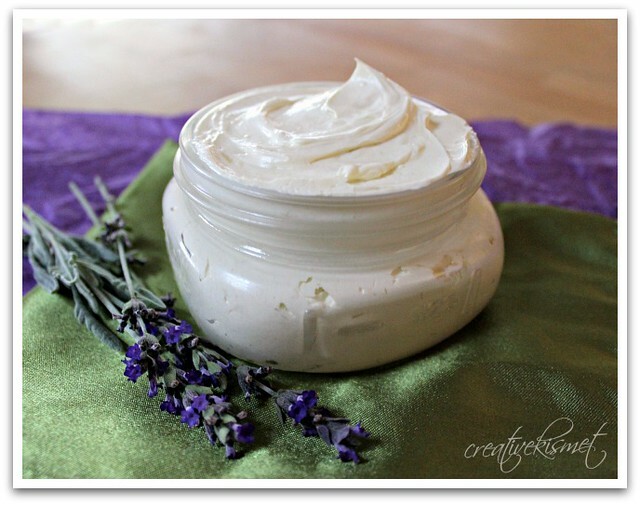 Sometimes I whip it into a luscious, creamy butter and sometimes I leave it as a salve. I had to share it this time around because it was looking quite lovely in this cute little 8oz mason jar. It is pretty easy-peasy to make if you have all the ingredients. Equal parts butters and oils, a little squirt of vitamin E oil is a nice addition too, if you like. You can try adding essential oils, but if you decide to use cocoa butter, it will smell strongly of chocolate, which I find to be quite fantastic. It’ll be hard to cover the cocoa scent. In fact, I added lavender to this batch and I can’t really smell it. I usually use calendula oil, but I didn’t have any calendula flowers on hand to make an infusion. 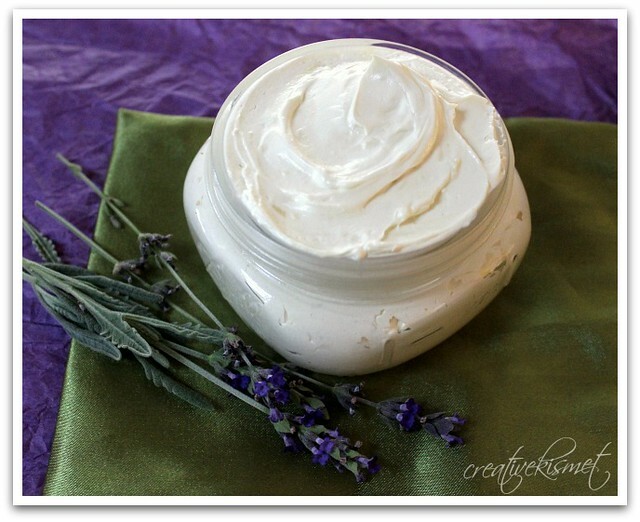 It is especially good for eczema, but the body butter is still very soothing without it. Melt and mix everything together in a double boiler. After, allow to cool in the frig until firm, but not solid. This took about 90 minutes for me. Then whip up with a hand blender until creamy — like the consistency of butter cream frosting. Or you can pour the melted mixture into jars, without whipping, and call it a day. I LOVE this for the winter when it is dry and cold out. I’m so happy I finally made some this season, we were in dire need of it. This entry was posted in i make stuff, Misc stuff. Bookmark the permalink. I love this! It looks awesome. It looks very beautiful and appetizing!